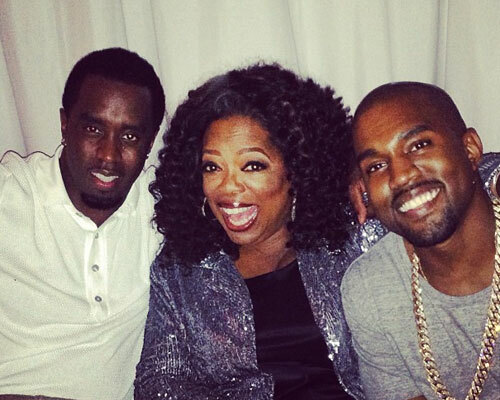 Kim and Kanye's Big Weekend: Double Date Then Chillin' with Oprah! Stars Kim Kardashian and Kanye West hit the town this weekend without baby North, for a double date in Beverly Hills and then chillin’ with Oprah. On Friday night, the couple enjoyed Cantonese cuisine at Hakkasan restaurant with Tyga and girlfriend Black Chyna. Kim was glammed up for the night out, wearing a pink jacket over an all-white top and pants ensemble. The reality star wore her long blonde hair loose and wavy. On Saturday the couple stepped out again, this time to catch up with Oprah, Sean “Diddy” Combs and music producer Jimmy Iovine. 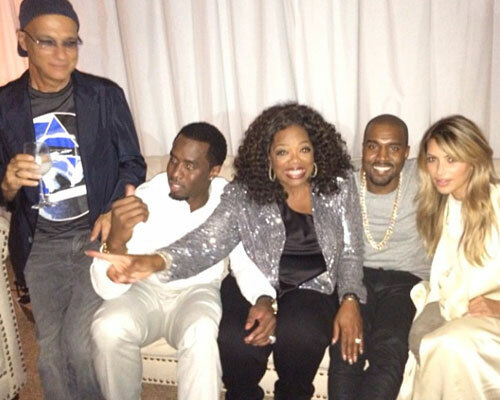 Oprah hinted that the party took place at Iovine's pad, tweeting a pic of her, Diddy and West with the caption, "Party Ovah Here! @jimmy iovine 's. Late nite with the Fellas!"